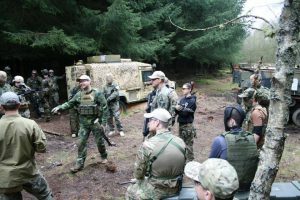 Nothing says team building during our airsoft corporate events like hunting down a management team in a hail of fully automatic fire from an assault rifle. 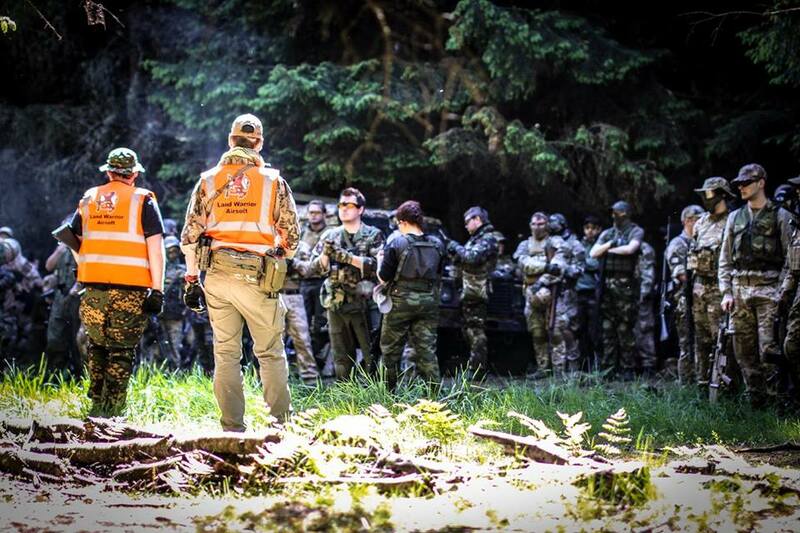 This isn’t some war torn back water country, this is Airsoft! This is the closest thing you will get to ever hunting your boss and work colleagues through the woods filled with military vehicles and showing them why you were worth that pay rise. This is the full-on military experience without the weeks of training in the rain and being sent out to a country whose name you can’t even spell! 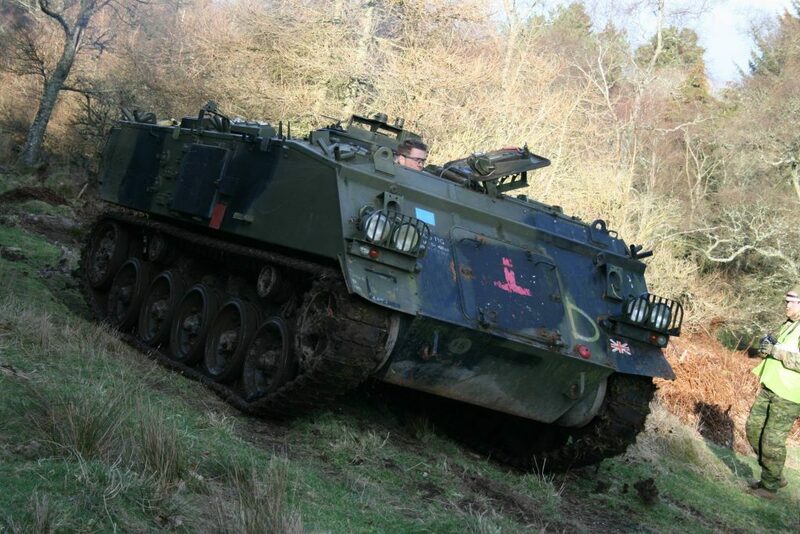 Our 70 acre woodland is located just south of Edinburgh and we can even stop the war for a tea break if you need to. Not that you’ll want to stop, you’ll want more and bigger. This is your own personal “Call of Duty” in your own private war! Located near to Edinburgh and regularly drawing in conscripts from Glasgow and Newcastle, you will be glad to choose the dedicated and professional team we have. We cater the games to suit all fitness and skill levels so the young whippersnappers can be let off their lead – while the more refined person can take it easy in one of our extremely comfortable forts we have built. This’ll be great for those looking for a good value option – paintball may seem cheap, but the extra ammo is more expensive when compared to airsoft. Unless you’re a “spray ’n pray” kinda guy (or gal), 3,000 BBs will last you a good amount of the day and another 3,000 pellets can be purchased on site for just £7.00! Later in the day, there will be tank objectives, sabotage missions, capture the flag games and headquarters-type scenarios. The marshals will arrange the day’s games as they see fit for your skill level. 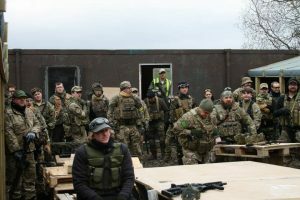 For more information and to book your airsoft corporate event day, contact the team at Airsoft Edinburgh today.